Community gardens, school vegetable gardens, apiaries and micro-farms are popping up in cities and towns at unprecedented rates, as communities worldwide seek better food security, community relationships and connection with nature. This lecture will examine some exciting new food initiatives in Australian towns and cities, and explore the potential for history to inspire and inform increased urban food production for resilient and sustainable cities. Tracing changes in the prevalence and practices of urban food production in Australian cities over time, the lecture will a focus on the second world war and how it relates to the contemporary scene. This historical story illuminates the pitfalls and potential of urban agriculture, from the possibility of increased production and the multiple benefits of collaborative and commoning models, to the danger of military-influenced attempts at mass mobilisation. 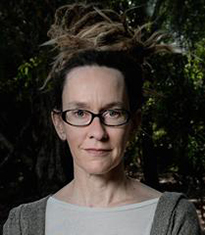 Andrea Gaynor is Associate Professor of History at The University of Western Australia. Her expertise encompasses the history of food production in Australian cities, Western Australian environmental history, agricultural history, animals in history and the history of fish and fishing. She is the author of Harvest of the Suburbs: An Environmental History of Growing Food in Australian Cities (2006, UWA Publishing). 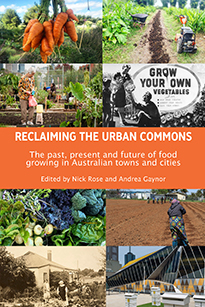 Andrea is co-editor (with Nick Rose) of Reclaiming the Urban Commons: The past, present and future of food growing in Australian towns and cities (UWA Publishing, October 2018). This talk is presented by UWA Publishing and the Institute of Advanced Studies.